The long quest for adequate nutrition in space has taken astronaut consumption from toothpaste tubes and gelatin coated cubes to freeze-dried foods and now to the possibility of freshly-grown vegetables. This ever-evolving space menu was well documented in Space Safety Magazine’s Space Food special earlier this year, covering the past, present, and future of space food — the struggles to achieve food that is nutritious, long-lasting and safe in the space environment has been a long one. 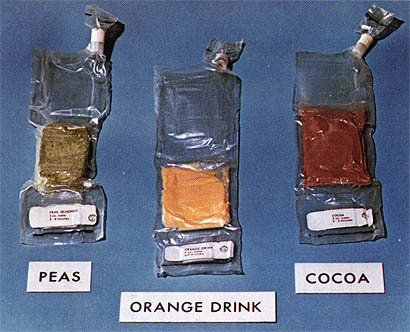 Early space food involved pre-packaged items that although technically safe and nutritious, were not as appetizing as fresh foods. The first space food used on missions consisted of vicious fluid packaged in aluminium tubes, similar to toothpaste tubes. The first man in space, Yuri Gagarin, tested the functionality of the digestive system in space with chocolate sauce and meat paste packaged in such tubes. Although effective for use in microgravity, these were deeply unpopular. Gelatin coated cubes and rehydratable freeze dried foods also made appearances early in the US space program. Available in flavors ranged from cereal to bacon and strawberry — these were not continued since they generated crumbs that posed an inhalation hazard in microgravity and also formed a sticky coating. On the other hand, the rehydratable freeze dried foods that followed were deemed unappetizing by astronauts. The experience and technology gained from these previous iterations of space food helped researchers hone these dense nutritional packages into items of recognizable, even appealing items on the space menu of today. The journey is far from over and the production of fresh food in space without resupply missions from Earth is the ultimate goal. However, we are now half-way there, as growing fresh food in space that is edible has now been successfully achieved. As RIA Novosti reports, Russian scientists have recently verified that several plants grown in space are safe for human consumption. The space grown vegetables range from peas and Japanese leafy greens to dwarf wheat — all of which passed tests on Earth for abnormalities or harmful microbes. Margarita Levinskikh of the Institute of Biological Problems told the radio show The Voice of Russia that “The plants have been very developed, absolutely normal and did not differ a lot from the plants grown on Earth.” As a co-investigator on the NASA study to validate the Vegetable Production Unit (VPU), she works alongside scientists to ensure that the procedures and protocols used aboard the International Space Station (ISS) to grow fresh food maximise astronaut health and well-being. The importance of not only growing but also testing the food grown by astronauts and cosmonauts is vital to our development as a space faring species. To assume such foods to be safe once grown in space is a dangerous risk to take. With plant growth affected by the microgravity environment in ways that we do not yet fully understand and microbial organisms known to develop into more virulent varieties under microgravity conditions, scientific investigation of food grown in space is mandatory during this developmental phase of consuming fresh food in space. The Lada greenhouse, named after the Russian goddess of spring houses vegetables grown aboard the International Space Station. Currently, vegetables are grown on board the International Space Station in a special greenhouse named Lada, after the Russian goddess of spring. 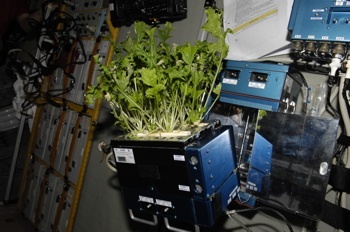 The unit is equipped with removable root modules containing enough nutrients for several generations of crop-growth — astronauts send these modules back to Earth for analysis once the nutrients are used up. Biologists then probe the root modules and the plants’ leaves for contaminants which may originate from the space station’s environment. With human spaceflight missions sent to increase in duration as we venture further into the cosmos, growing edible food in space is an important area of research for future human settlements in space. There are several research programs underway that investigate the growth of plants in space. Hundreds of seeds have flown in orbit to determine the effects of the environment – particularly radiation – on their ability to germinate. The use of plants as part of a self-sustaining habitat is another popular area of research that will bring humans one step closer to living in a closed life support system in space. A NASA research team has already developed 100 menu items for use in the Martian environment as humans eventually venture beyond low Earth orbit and journey to the Red Planet to stay. Home comforts whilst abroad on Earth can be an uplifting experience – even more so when orbiting above Earth or on another planet. Such space treats are a welcome break from the monotony of the safe-to-eat space menu and items including Coke, bread, and alcohol have all been briefly embraced by NASA in the past. Astronauts have access to a variety of flavored drinks whilst in space however soda and carbonated beverages pose a hazard inside their pressurized vessels if carbon dioxide bubbles escape to form a foam or stay in to affect astronaut’s stomachs. 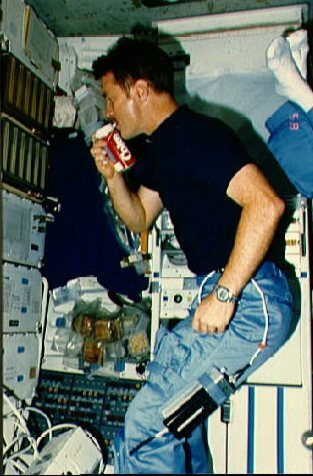 However, in 1985 Coca-Cola, and to some extent Pepsi tried to solve these problems by designing special space cans with controlled dispensing. Unfortunately, they were unable to make drinkable coke and carbonated space beverages were not continued and are not available on the ISS today. However, the Coca-Cola cans designed for space did make a special appearance as part of the opening ceremony of the 22nd Winter Olympic Games in Sochi, Russia. The minute-long advertisement shows a U.S astronaut and a Russian cosmonaut aboard the orbiting outpost watching their two nations going head-to-to head in an Olympic hockey match on Earth. The rivalry between the two jersey-clad crewmates soon gives way to camaraderie as the soft drink is spills and floats around the station, resulting in a team effort to catch the bubbles. Bread is a food staple on Earth, however, when taken to space in the past it quickly molded due to the high oxygen environment. One of the most famous space food stories is that of John Young sneaking a corned beef sandwich aboard Gemini 3. The stowaway sandwich quickly turned dry and crumbly and today, ISS crews prefer to use tortillas as a bread alternative due to their long shelf life and low crumb production. On the other hand, the Russians have looser standards than NASA when it comes to drinking alcohol in orbit. Alexander Lazutkin, who lived aboard Russia’s Mir space station commented that Russian doctors have been said to have sent alcoholic beverages along with spacefliers for years to keep them “in tone” and to “neutralize tension. ” At the beginning of the Space Age, cognac was recommended to stimulate cosmonaut’s immune systems. With strenuous space walks and a stressful working environment, the Russians believe that alcohol helps to enhance job performance and reduce stress. With the focus of space research moving away from luxury items such as coke, bread and sherry and onto fresh foods, it is important to highlight the advantages of space farming. As well as the nutritional benefit, growing food in space could eventually lower the cost of resupply missions to the International Space Station and have positive effects on the psychological health of astronauts through tending for the plants as they grow. “Caring for a plant every day provides vital psychological relief, giving astronauts a small remembrance of Earth,” NASA scientist Howard Levine told Modern Farmer. ‘Diary of a Space Zucchini’, a poignant account of the life of a zucchini was kept by astronaut Don Pettit as it grew on board the International Space Station. 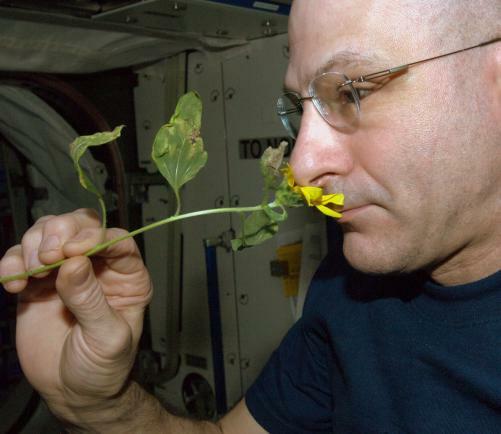 An example of such positivity from growing vegetables in space is Astronaut Don Pettit. He kept ‘Diary of a Space Zucchini’ during his time aboard the station and wrote a creative and poignant personified account of the life of a zucchini growing in space. “Excitement is in the air. Gardener said we will soon be returning to Earth. Our part of the mission is nearly complete and the new crew will take over for us. I am a bit worried about Broccoli, Sunflower, and me. If Gardener leaves, who will take care of us?” Pettit writes in the voice of the zucchini. Following the recent verification from scientists that fresh food grown in Lada is deemed safe for consumption, the space menu is set to expand as other vegetable varieties join the line up to grow in the space greenhouse. After repairing Lada, researchers are planning to grow rice, tomatoes, and bell peppers aboard the International Space Station next year, none of which have ever been grown in space before. With orbital farming in the process of becoming safer with each harvest, the space menu has come far from its toothpaste tube origins. Yet, there are still many questions to be answered and challenges to be tackled with growing food in space. The behaviour of vegetable growth in microgravity requires further long-term study as do types of vegetables that may be practical – and impractical – to grow in space. In time, research into orbital meat growth may one day arise as we establish long-term settlements in space and the natural human appetite for meat is catered to. The space menu is ever-changing and it is vital that time is spent now to produce the nourishing and tasty foods that will stock the space kitchen cupboards of the future.